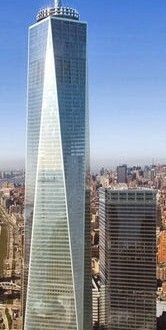 NEW YORK CITY: 16 Year-Old Thwarts Security, Reaches Top Of 1 WTC Tower - Joe.My.God. A New Jersey teen captivated by 1 World Trade Center sneaked out of his home in the dead of night, got past the wall of security — and a sleeping guard — making it all the way up to the spire, The Post has learned. Scrawny 16-year-old Justin Casquejo crawled through a hole in a Ground Zero fence at about 4 a.m. Sunday and got a lift up the tower from a clueless union elevator operator, even though he had no ID. He was dropped off on the 88th floor and hiked the stairs up to the 104th floor — where a guard assigned to protect the top of the world’s biggest terror target was sound asleep. That guard has since been fired. Casquejo told cops he then climbed up to the roof and made it up to the antenna. After spending two glorious hours atop the nation’s tallest building snapping photos, the young daredevil was finally caught by a construction worker as he made his way back down.